Women’s Empowerment has received a $25,000 grant from U.S. Bank Foundation’s Community Possible program. The grant will fund job skills training, career-readiness classes and financial literacy programs for Sacramento women experiencing homelessness. Women’s Empowerment was featured on NBC’s The TODAY Show in 2015 for offering the most comprehensive job-readiness program in the Sacramento area designed specifically for women who are homeless and their children. The award-winning organization has graduated 1,554 homeless women and their 3,738 children. Last year, 82 percent of graduates found homes and 76 percent found jobs or enrolled in school or training. The program combines self-esteem courses, job training, health classes and support services to help homeless women across diverse ages, races and cultures. Women’s Empowerment is funded through private donations from the community and receives no government funding except for in-kind rent from the County of Sacramento. To make a donation: www.womens-empowerment.org. 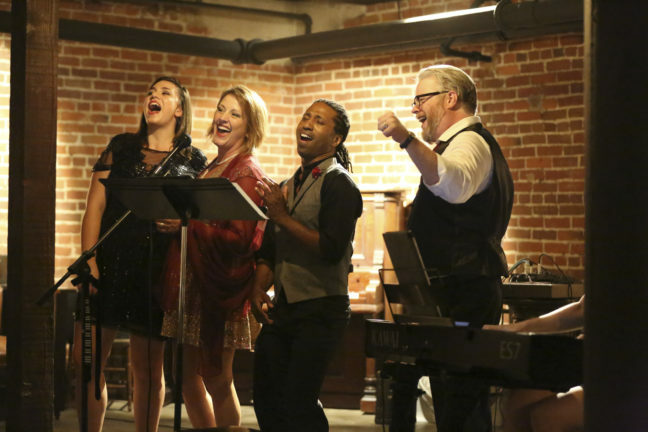 Community members are invited to go underground on Oct. 27 to attend Cabaret on K, an evening of musical performances with a nod to Halloween, featuring a haunting mix of cabaret, jazz, classical and musical theatre pieces by Sacramento group Rogue Music Project. Guests are welcome to come in costume and will enjoy complimentary desserts and drinks for purchase. 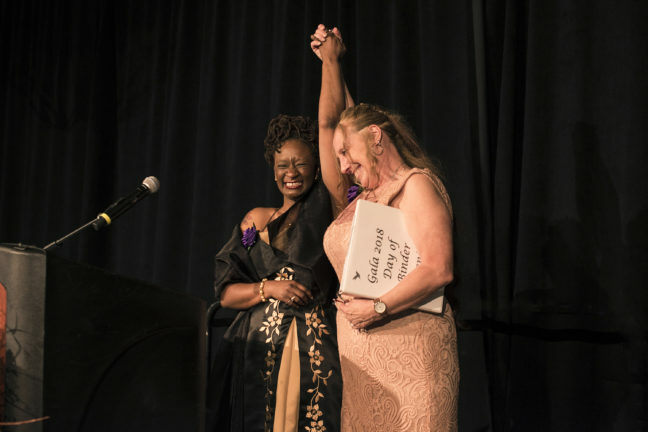 Five hundred guests at Women’s Empowerment’s 17th Annual Celebration of Independence Gala raised more than $214,000 to support the organization’s job training program for women and mothers experiencing homelessness in Sacramento. The event, which took place at the DoubleTree by Hilton Hotel in Sacramento, had 75 graduates of the program in attendance dressed in ballgowns donated by the community. The evening included a formal dinner, live and silent auctions, live music and inspiring speeches from program graduates. 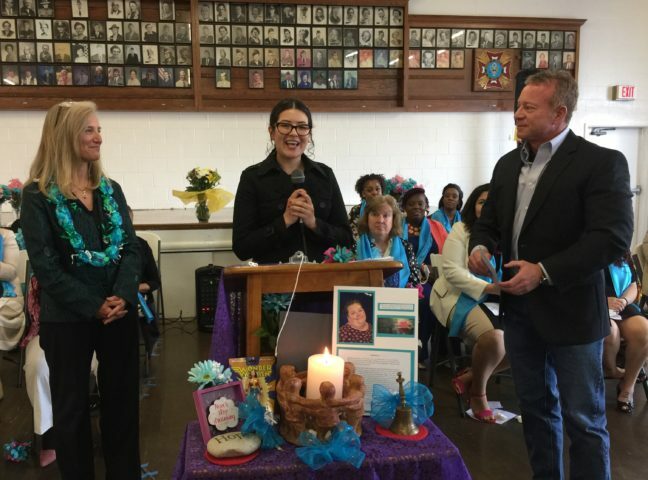 Mayor Darrell Steinberg presented Amanda Buccina and Rennie Jemmings of Sutter Health with the 2018 To Heal the World Award, created in honor of Women’s Empowerment’s founding social worker Erie Shockey. The award recognizes a local hero who inspires others to engage in social change and make Sacramento a better place for all. The two nurses were honored for providing street medical care to people who are homeless in Sacramento. Women’s Empowerment was featured on NBC’s The TODAY Show in 2015 for offering the most comprehensive job-readiness program in the Sacramento area designed specifically for women who are homeless and their children. 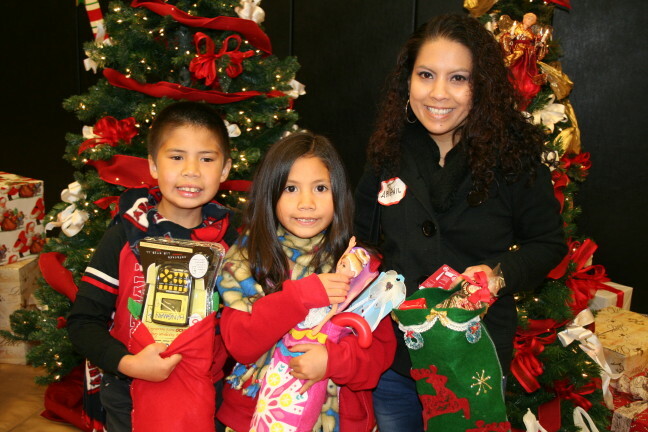 The award-winning organization has graduated 1,527 homeless women and their 3,684 children. Last year, 92 percent of graduates found homes and 77 percent found jobs or enrolled in school or training. The program combines self-esteem courses, job training, health classes and support services to help homeless women across diverse ages, races and cultures. Women’s Empowerment is funded through private donations from the community and receives no government funding except for in-kind rent from the County of Sacramento. To make a donation: www.womens-empowerment.org. 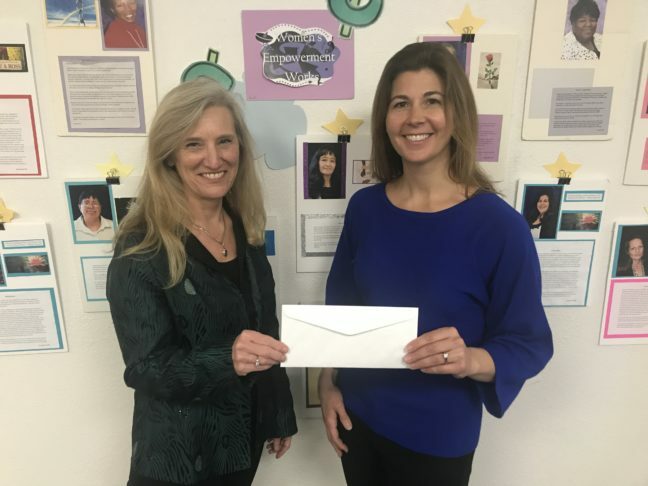 American River Bank Foundation recently granted $11,500 to Sacramento nonprofit Women’s Empowerment to provide paid job training for homeless women through the group’s Get A Job Kit small business. Funding also will support Women’s Empowerment’s new property management training program REstart in partnership with the Institute of Real Estate Management (IREM) Sacramento. The Get A Job Kit was launched under Women’s Empowerment’s name in April 2014 after the business was donated by local entrepreneur Shirley Willey, who had created and run the business for nearly 25 years. The social enterprise trains graduates of Women’s Empowerment’s nine-week job-readiness program in the production, customer service, quality assurance, forklift operation, shipping and receiving industries. Over the course of five weeks, trainees are paid to assemble the Get A Job Kits, an all-in-one career organizer, to fill customer orders while receiving hands-on training, performance evaluations and relevant job experience. Since launching the small business, Women’s Empowerment has sold 15,000 Kits to high schools, veterans programs, nonprofits, vocational and technical colleges and anti-recidivism programs. 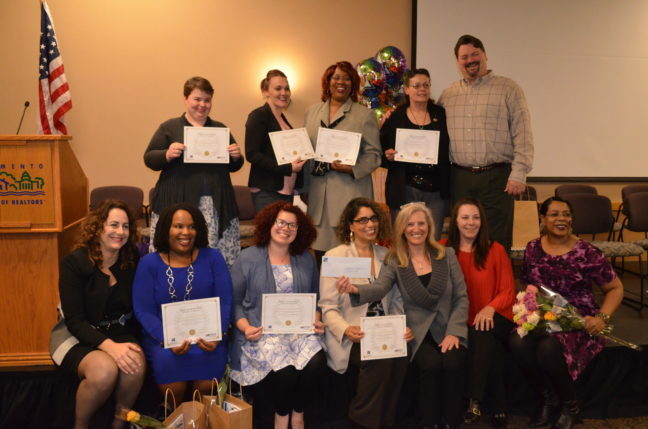 Women’s Empowerment’s recent partnership with IREM Sacramento provides Women’s Empowerment graduates with paid training in property management, a career that provides both stable employment and housing on the property being managed. 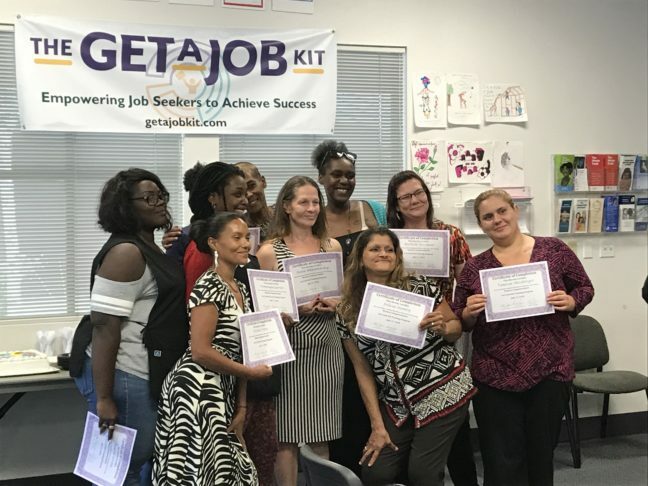 The Get A Job Kit and REstart are two components of Women’s Empowerment’s programs that end homelessness for women and children in Sacramento. Women’s Empowerment was featured on NBC’s The TODAY Show in 2015 for offering the most comprehensive job-readiness program in the Sacramento area designed specifically for women who are homeless and their children. 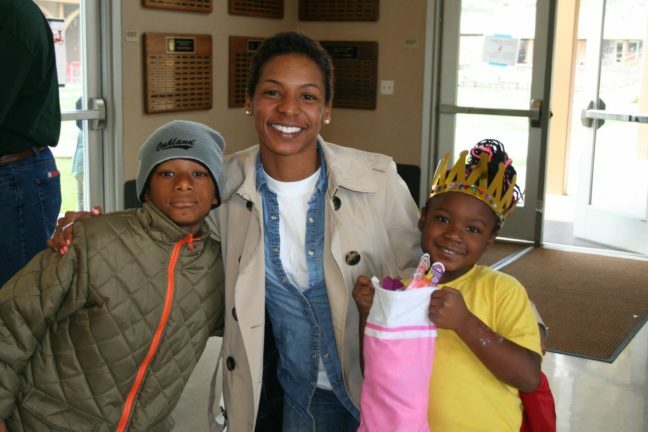 The award-winning organization has graduated 1,503 homeless women and their 3,600 children. Last year, 92 percent of graduates found homes and 77 percent found jobs or enrolled in school or training. The program combines self-esteem courses, job training, health classes and support services to help homeless women across diverse ages, races and cultures. Women’s Empowerment is funded through private donations from the community and receives no government funding except for in-kind rent from the County of Sacramento. To make a donation: www.womens-empowerment.org. For more information or to purchase The Get a Job Kit, visit www.getajobkit.com. 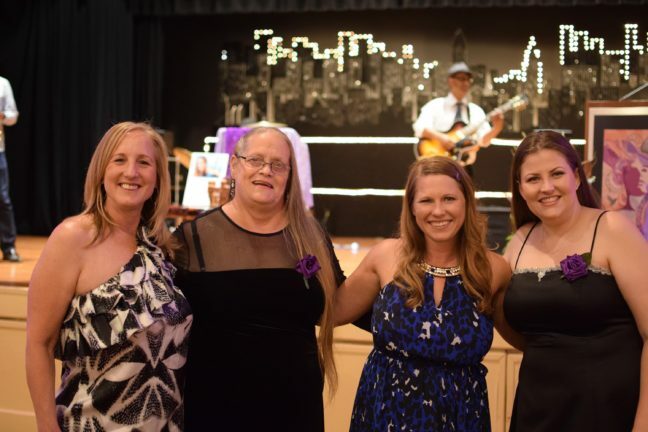 More than 230 people raised $13,000 at Cabaret on K, sponsored by Capital Public Radio, which benefited Sacramento homeless women and children at local nonprofit Women’s Empowerment. 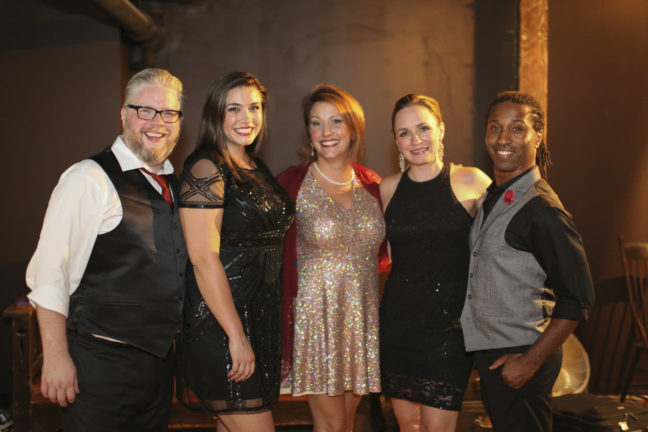 Hosted in September in the newly opened basement at Capitol Plaza Ballrooms on K Street, the night featured performances of cabaret and jazz favorites with a mix of classical and musical theatre pieces. Artwork from local artists was on display and for sale, with 50 percent of the proceeds going directly to Women’s Empowerment. Funds raised will help women as they break the cycle of homelessness and build a brighter future for their families. Participating musicians included Carrie Hennessey, Omari Tau, Jen Reason, Sarah Fitch and Capital Public Radio’s Kevin Doherty. Artists Michele Knight, Whitney Lofrano, Art Street’s Angela Tannehill and Wide Open Walls muralist Norm Ayles sold pieces of art throughout the evening. Well-known local artist David Garibaldi also was in attendance.